As the 23 rd largest city in US, Detroit has its own signature patterns when it comes to population. With more than 1870 people sharing a square kilometer space, the city – which remains the traditional Automobile Capital of the world – has been home to some of the best engineering talents and skill-sets, with people shifting base to Detroit from across the country. 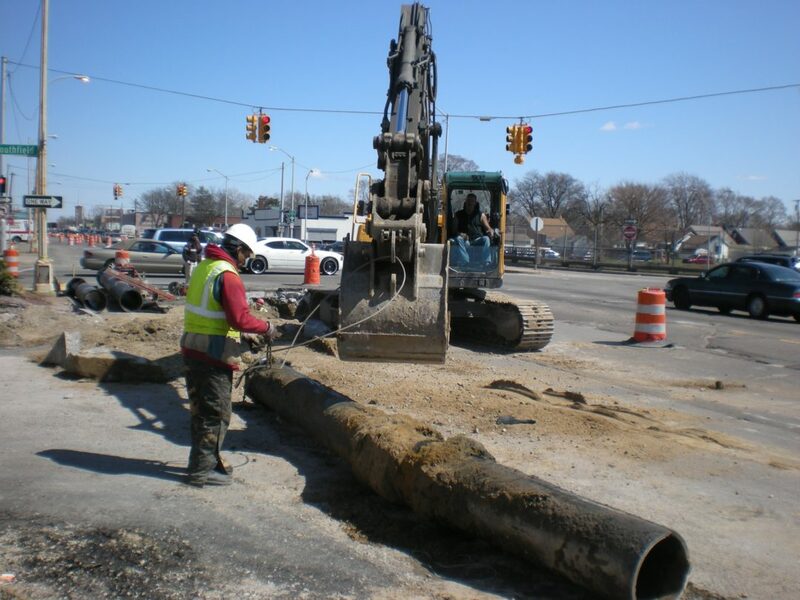 There is a labyrinth network of roads in Metro Detroit and the DWSD is the overlooking authority for all work related to repair of pavement, sidewalks, driveways and curb cuts throughout Detroit and its adjacent suburbs. Keeping a watchful eye on this network of roads is both interesting and a big challenge – quick repairs must be done wherever needed. We have completed approximately a total of 155000 sf of concrete driveway, 50000 lf of concrete curb and 200000 sy of road pavement repairing and rebuilding work. This included placement of high early strength concrete, mesh reinforcements, 15000 tons of wearing course mixture, repairs and replacements of 2150 manhole covers and 2000 gate boxes, 65000 sf of 6” sidewalk ramps at 1600 traffic control locations. The volume of work done by us in a city of this proportion reinstates the belief and the trust that such a leading client has in us over the years.